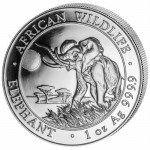 One of the most unique coins in the world today is the Silver Somalian Elephant coin. 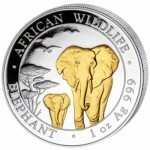 Struck as part of the African Wildlife Series, the coin is produced in Germany, representing an African nation, and has changed allegiances once in its production history. 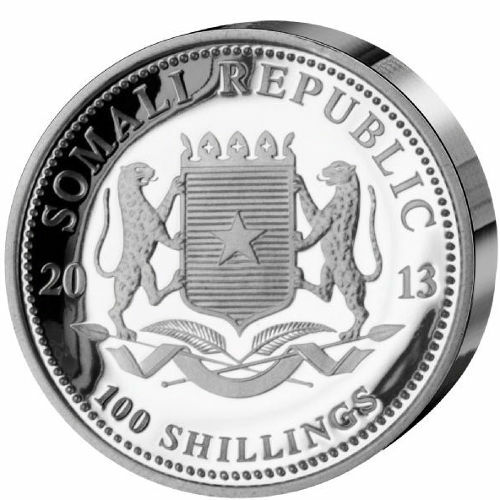 Right now, Silver.com offers the 2013 1 oz Silver Somalian Elephant Proof Coin in a High-Relief strike. Limited mintage of only 1,000 coins! Ships to you in presentation packaging with CoA. Bears a face value of 100 Shillings (Somalia). Struck by the Bavarian State Mint. Produced in brilliant High-Relief Proof. Silver Somalian Elephant coins were first introduced as a coin with a Somalian face value in 2004, but the history of the coin dates back to 1999. 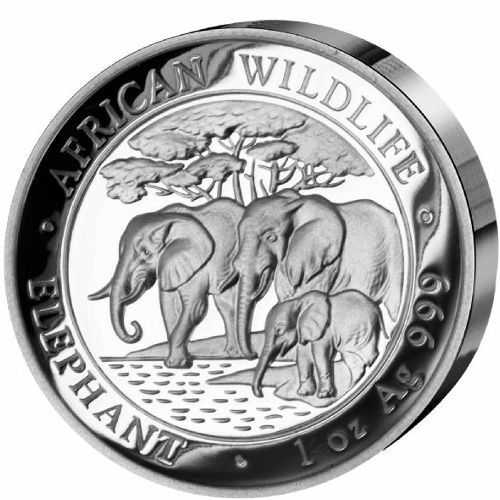 The first African Wildlife Series coins featuring the elephant were produced for the nation of Zambia. 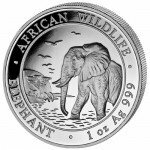 While some sovereign bullion and proof coin programs feature the same designs each year, the Silver Somalian Elephant uses a popular rotating schedule. Each year, the Bavarian State Mint adheres to a common motif, but alters the specific design. This creates renewed interest for the coins each year. 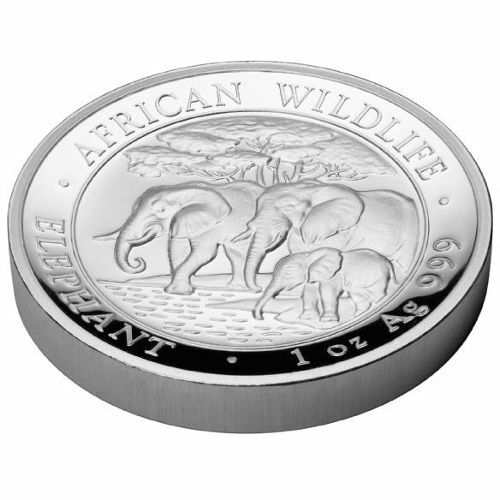 On the reverse side of the 2013 1 oz Silver Somalian Elephant Proof Coin is the image of a family of elephants at a watering hole. The tall trees of the savanna are visible rising toward the horizon in the background, as two adult elephants and a young calf stop to dip their trunks in the water. 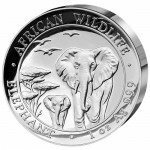 Engravings include “Elephant,” “African Wildlife,” and the coin’s weight, metal content, and purity. The reverse bears the same design each year; that of the Somali Republic’s coat of arms. A pair of leopards are positioned on either side a heraldic shield, which bears a lone star in front a background of horizontal bars. Engravings include “Somali Republic,” the year of minting, and the face value of the coin. Each of these coins is struck in brilliant high relief. A high-relief proof is produced using increased pressure in the striking process, which helps create a concave surface to the coin for maximum contrast between design sets and background fields. Silver.com encourages all customers to contact us with questions. You can call us at 888-989-7223, chat with us online through our free service, or submit your questions in an email.